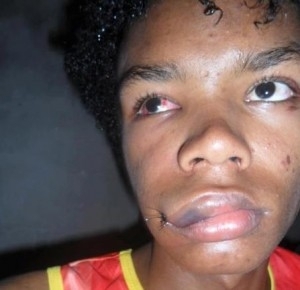 Last Sunday, my friend Bruno was robbed and beaten while walking home from a pagode party in Camaçari, Bahia. He's 20 years old, an actor, and was also titled the highest honor of "Queen" in a the LGBT Pride Parade in Rio Grande do Sul last year. Bruno confirmed that the attacks were clearly because of his sexual orientation. The assaulters screamed offensive comments as they brutally beat his face, stole his cell phone, and left him on the street loosing 3 liters of blood. The police passed by several times, and didn't even stop to take him to the hospital. They called an ambulance, and left as passerby's tried to stop the bleeding. I talked to Bruno today and luckily, he said he is recovering and is getting more news coverage every day. 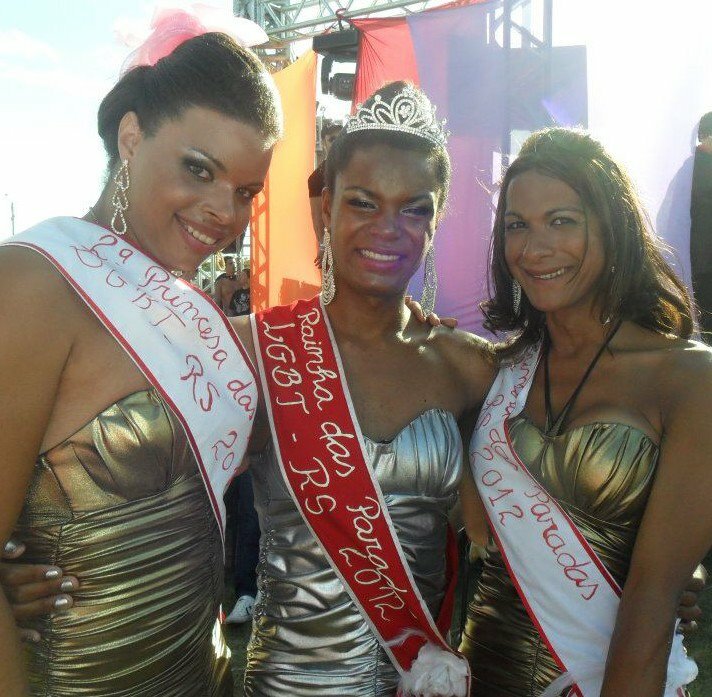 Groups are mobilizing to speak against this violent homophobia which is all too common in Brazil. In the county of Camaçari alone, there have been 4 violent attacks this year. Salvador has had many more, and most aren't even filed or counted by police departments. The movement for LGBT rights is certainly growing in Brazil, but it seems that popular consciousness is not growing with it. In such a violent society, where problems cannot be trusted in the hands of authorities (like the police), they are usually expressed violently in street confrontations, exasperated by alcohol and drugs. this is so awful, I'm so sorry to hear about this and so happy that Bruno will be OK. It must be so difficult coming from a place like Marin and Berkeley where this issue is rare then to Camacari where it seems like they have such a long way to go. Thank you for bringing this to light.